Happy Saturday everyone, I hope you are enjoying warmer weather than I am in New York. Here is a quick recap of some of the deals and offers from the past week. 1) 500 Air Berlin Miles – It feels like free Air Berlin miles comes around every few months or so. This time the offer is for 500 free miles for linking your Air Berlin topbonus number to Heinemann & Me which is apparently a German duty free store chain. You might need to first register for a Heinemann & Me account which is free. In the event you are not an Air Berlin topbonus member, you can first register for an account here and earn 500 free miles for joining. Then you can complete the offer above for an additional 500 miles. 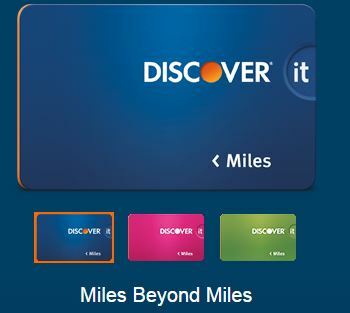 2) New Discover it Miles Credit Card – Discover launched a new credit card, Discover it Miles, that sounds basic at first as it offer 1.5x on all spending for no annual fee which isn’t that exciting, considering there are 2% cashback cards with no annual fee out there. However, instead of a traditional signup bonus, Discover is offering double the points for the first year so this is really a 3% cashback card for the first year with no annual fee and the additional travel perk of $30 towards in-flight wifi via Gogo annually. 3) Delta Checked Baggage Guarantee – In a move that rivals Alaska Airlines, Delta is now offering customers a 20 minute guarantee on the delivery of their checked baggage or else customers are entitled to 2,500 SkyMiles. Delta claims checked baggage will be available within 20 minutes from the time the plane pulls into the gate. If not, Delta customers can go online and fill out a form to claim their 2,500 SkyMiles. This promotion is only valid through March 31st and is for domestic flights only. It appears Delta is giving this a test run and if successful, it wouldn’t shock me to see this rolled out on a more permanent basis going forward. 4) Refer a Friend Offer for Chase Sapphire Preferred – I’ve wrote about this offer before but Chase has recently reintroduced the refer a friend offer on the Chase Sapphire Preferred in which existing cardholders can refer others and earn 5,000 bonus points for doing so (the applicant will receive the standard 40,000 point offer currently). Not all cardholders are eligible however, including myself. You can check your eligibility here and if you keep getting an error message, then you are not able to refer others. I have no idea how Chase chooses who can participate in this offer but it can’t hurt to call or secure message them asking to be enrolled. 5) Free 300 La Quinta Points – Not a huge offer but I’ve seen various free point offers over the years for La Quinta so you might already have a small point balance there. You can earn 300 points for watching this quick video here or if you are lazy, you can just register at this page here without watching the video. I didn’t include the promotion for the free 1,000 Hilton HHonors points for changing your password since that promotion is not yet valid contrary to what other bloggers posted. Once that promotion is confirmed to be working, I will post a separate entry about it. 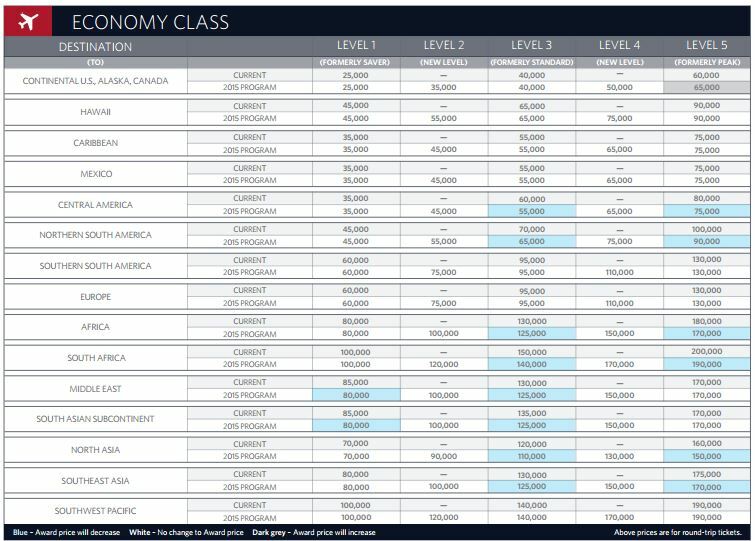 Delta Deletes Its Award Chart…Are More Changes Coming to SkyMiles? Earlier this year, I was praising Delta for becoming more consumer friendly with an award search engine that actually worked, the introduction of one-way awards and more lower level award space but today I was shocked today to learn that Delta has intentionally deleted any form of the SkyMiles Award Chart off their website effective immediately. For those that think this is another Delta IT glitch or oversight, this is confirmed to be intentional – see some of the tweets from Delta’s verified Twitter account below. The award charts used to be at this link here but when directed to that page, all I see is a little message telling me to rely on an award calendar that will price the flights and then log into my SkyMiles account to pay for it. So essentially, I am at the mercy of their computer to tell me what the flight will cost and I have no way of verifying or confirming if the cost of my flight in miles is correct. For what it’s worth here is snapshot of the Award Chart for flights via Web Archive for flights departing North America (except Hawaii). To me, this is a huge issue. I understand frequent flyer programs are subject to change but now planning out an award using SkyMiles will be almost impossible as how will I know when the saver levels increase? For example, I’m collecting Delta SkyMiles to fly my wife and I to Australia and a saver business class award is 160,000 miles roundtrip. My goal was to acquire 320,000 Delta SkyMiles for both of us and even if Delta announced any changes to their reward program, I could adjust my strategy accordingly. However, now I will HAVE NO IDEA when or if the amount of miles required for a saver award changes. 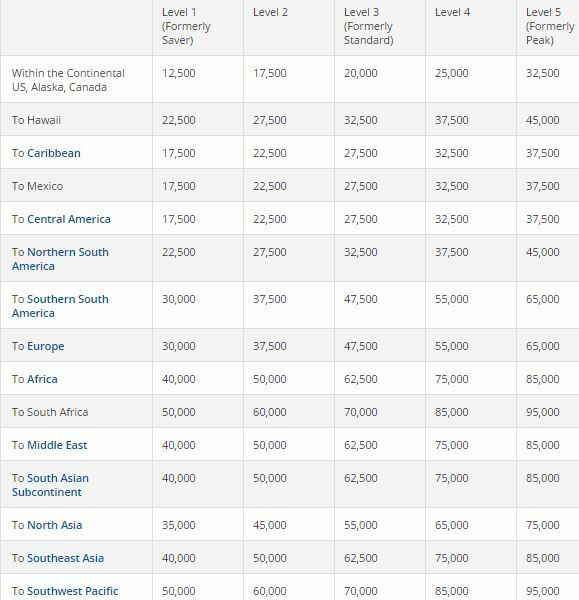 It could jump to 200,000 miles each overnight and I won’t know whether the award chart is mispricing the flights (which happens with Delta on some awards) or the new minimum is really 200,000 miles going forward. Having a lack of award chart and not having to announce any changes or devaluations is awful and unfair to SkyMiles members. This action by Delta tells me that there might be a huge change to redeeming SkyMiles in which it could be revenue based and the price of the flight in miles, will correlate with the actual selling price of the flight. Delta has already implemented this on the earning side of miles so it almost makes too much sense to do this on the redemption side as well. Going forward, the SkyMiles program might resemble a frequent flyer program just like Southwest or JetBlue and this will offer significantly less value for most customers. To be clear, this is pure speculation as nothing has been announced in this regard and I am merely interpreting today’s action as a move to that direction. This action by Delta is frankly just awful for customers – it basically tells me that Delta doesn’t want you to know how much your award flight should cost so their “All New Award Calendar” can automatically price it for you. That’s a bunch of garbage especially since it’s no secret that even with the improvements to the Delta search award engine recently, certain flights were still mispricing and resulting in a much higher cost in miles than it should have been. I’m not advising everyone go blow their SkyMiles balance and book awards but if you have been eyeing an award and just been lazy about booking it, now might be time to secure it. Anyone as angry about this as I am? Or am I making a big stink about nothing? New for 2015: Delta One Way Award Flights Now Bookable! 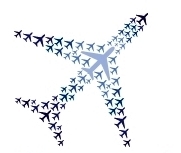 Out of the major US airlines, my least favorite frequent flyer program has been Delta SkyMiles. Nicknamed “SkyPesos” by some, the award costs for Delta flights were generally astronomic, searching for awards on Delta.com was awful and to add insult to injury, all awards had to be booked as roundtrip awards. That meant even if you found low level availability on one leg (lucky you if you did) but there was nothing except peak level on the return, there was no way to book just the low level flight until yesterday, as one way awards on Delta are now bookable! 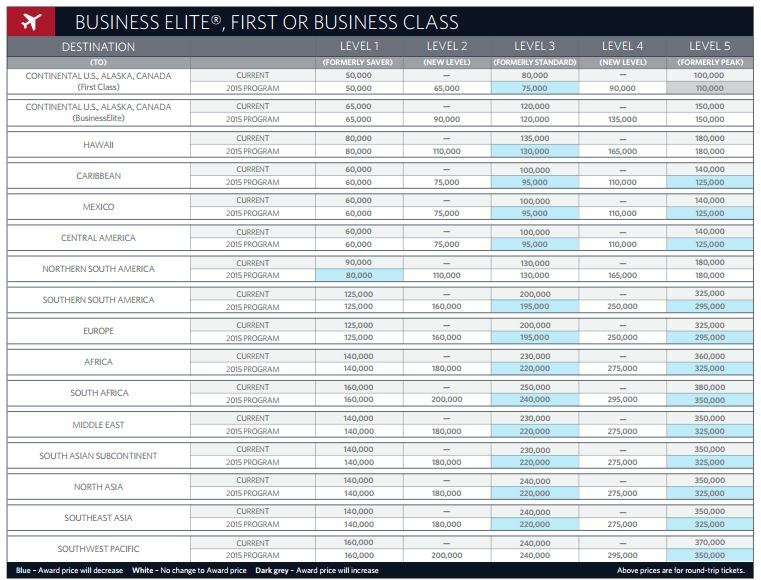 In addition to allowing one way award flights, Delta updated their award chart to have 5 tiers with the hope being there would be more lower level availability (levels 1 and 2). And arguably maybe the biggest improvement is the award search engine on Delta.com is enhanced, allowing you to see the lowest award availability over a 5 week period. However, there were negative changes made as well including the elimination of stopovers on awards (which matches the change made by American Airlines last year). So with all these changes does everything work on Delta.com as intended? I’ll walk you through my experience yesterday as I am going to Aruba over Martin Luther King weekend and I needed to book a return flight home still. I don’t have the screenshot but I tried to price out the one way flight home on December 31st (before the new award chart took effect) and it was pricing at 35,000 miles which was the saver roundtrip award amount under the old SkyMiles award chart (this was totally expected). Yesterday morning I did the exact same search and I tested out the 5 week calendar (even though I had a specific day I had to return on) and the results were much more encouraging. There is actually some low level availability! With the exception of just a handful of days, most days had availability at the lowest level (level 1) or second lowest level (level 2). I was pleasantly surprised by this as I excepted standard rates (now called level 3) for the majority of the days based on Delta’s history of stinginess with low level awards, this is a limited route with only one non-stop option daily and the fact this is a peak time to travel to Aruba to escape the New York winter. I think having the 5 tiers is a definite improvement as I’m sure some of the days with level 2 availability would have been priced higher under the old chart. 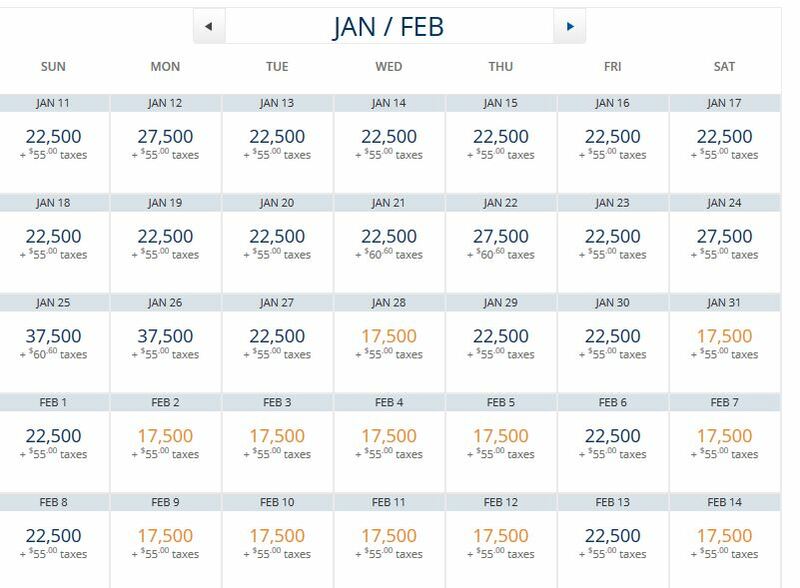 Now obviously this is a limited example that may not truly show the effect of the changes to the SkyMiles program but other bloggers seem to have a similar opinion that low level availability and the award searching are better than before (here and here). Time will tell if this in indeed the case but this is a good start to Delta SkyMiles for 2015.